So much business education, training, workshops, seminars and keynotes is based on old school (literally!) ways of educating. Back in the day, students sat in neat rows, stayed quiet and respectfully listened to one person speak (or rather, drone on and on). BOOORRRING! Meanwhile, we know that human beings learn far better and retain far more of what they learn by participating actively in the process and “discovering” rather than passively “being taught.” Not only are the results better, but people actually enjoy learning much more when it mimics our natural approach – the approach that’s been evolutionarily programmed into us for millions of years – instead of following the didactic, pedagogic approach most of us suffer through in school. If you’re still in doubt, just watch how a 2- or 3-year old child learns – they LOVE it. They’re curious and eager and want to know everything about everything. And they’re like sponges too, learning huge volumes of information so quickly and adeptly it’s astonishing when you pause to truly consider it. Part of that is because their brains are still forming, but part of that is also because they haven’t associated “learning” with “boring” yet. How many of us still felt excited about learning by the time we hit the 10th grade? Not I, that’s for sure (though I was still kind of a nerd… but that’s a story for another day). So many teachers, educators and trainers will nod and agree while reading this, but then they’ll go back and create still more boring, yawn-inducing lectures, speeches and seminars. I can only assume it’s because they’re lazy, and it takes a lot more preparation to do a seemingly improvised, spontaneous and active program than a scripted, static, prepared one. No bulleted powerpoint presentations. If you MUST use a slideshow (even I do sometimes – though I prefer Keynote by Apple) at the very least use it to illustrate points, not to enumerate them. You can always follow up with a handout afterward if you want to make sure they remember all the main points (or if you’re going “green,” upload your handouts to Slideshare, so your attendees can view online or download the files, all for free). I keep all my presentations on my website at www.MichelleVillalobos.com so anyone can see my entire repertoire too. And having that much quality content housed on my site certainly doesn’t hurt in terms of Google rankings either. As Dr. House of “House, MD” so aptly stated: “Without Socrates, we wouldn’t have the Socratic Method, the greatest way of teaching things known to man (apart from juggling chain saws. )” The Socratic Method is a way of teaching people using leading questions in a logical sequence. These days, with our increasing ADD, using the Socratic Method is a great way to keep people active in the learning process, so they don’t get bored or lose concentration. Study it, learn how to do it, it really works. I once read a transcript in which Rick Garlikov used the Socratic method to teach a classroom-full of 2nd graders how to do binary arithmatic, true story! Speaking of activities, you should always have at least one. For every 1 hour workshop, I try to have at least 2 or 3. They can be short and sweet, just as long as you’ve tested them and they’re sure to illustrate what you’re trying to teach. To give you an example, rather than tell people about body language I’ll bring up two volunteers to act out a scenario based on my direction. The attendees crack up watching their colleagues and the process dispels a lot of resistance to what we’re discussing. Not to mention it’s a great way to put the aforementioned attention hog to good use. Well, there you have it. Some of my best advice on how to put together a wow! seminar, workshop, keynote or other learning experience for adults. Good luck and let me know if this article helps you by visiting www.MichelleVillalobos.com and dropping me a line! Michelle Villalobos is the founder of Mivista Success Skills Training, based in Miami, FL. She helps people develop their business skills – particularly networking, marketing, personal branding, sales, communications and presentation skills. 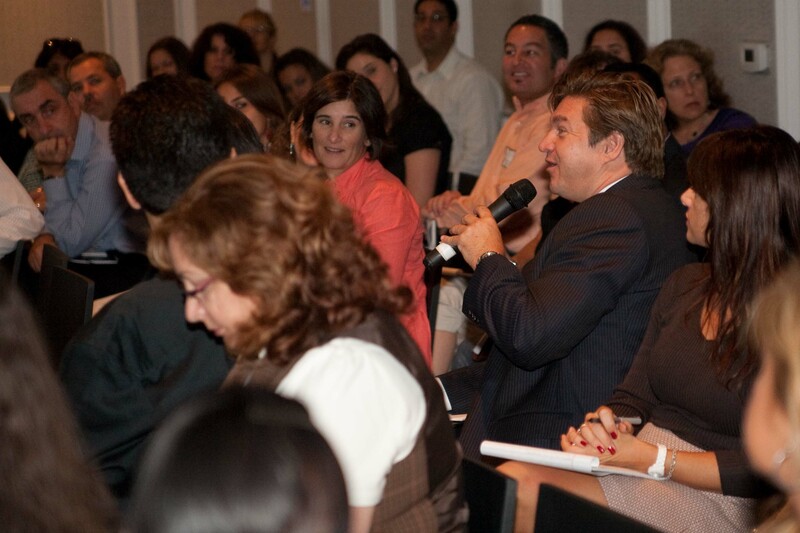 – in never boring or yawn-inducing workshops, seminars and keynotes.